I packed up my Deathwing, met up with friends and headed down. At least 7 or so guys who frequent the Games Workshop store in NYC were there, including the John, Jon, and Ian. This was by far the biggest event I’ve attended and I was exhausted afterwards. Partly from being overwhelmed with everything (it is like going to disney world as a kid) and partly from standing the whole time; normally I just sit and type all day. As long as the next event is in driving distance, I cant wait to attend. First Killteam game, and my Deathwing terminators loved it. I forgot to record Dan Abnett reading his new book (attended by at least 50 people). I’d record it just because it is cool. Play a regular game while there. I am still pretty new and wanted to take it all in the first time. My gameplan was to play smaller games, to allow me to check out more of what was going on. Esp. since there were sooooooooooo many events. The best intro pic I could find. 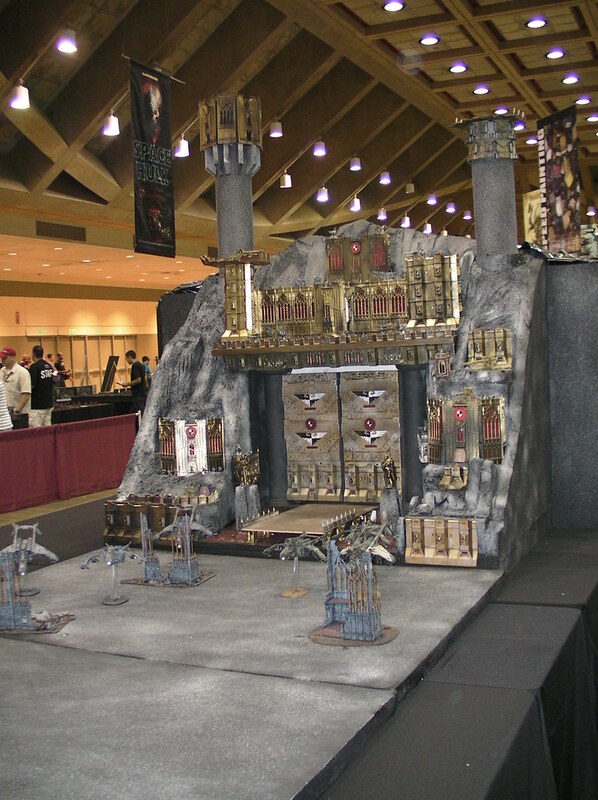 This entry was posted in Events and tagged Events, Gamesday, pictures, Special Events. Bookmark the permalink.